This August 2016 file photo shows Ryan Lochte attend a press conference on Day 7 of the Rio Olympics. Lochte's prosecution for filing a false police report during the 2016 Olympics is back on after a Brazilian court decision on Tuesday, June 26, 2018. As Lochte's version of events began to shift, many Brazilians became annoyed that a false story about crime drew so much attention. The scandal drew international headlines and grew to overshadow the final days of the games. Lochte does not have to appear in person to defend himself. But prosecutors said Lochte invented the story to cover up the swimmers' vandalism of a gas station and an ensuing confrontation with security guards. The confrontation was captured by surveillance cameras at the gas station. As Lochte's version of events began to shift, many Brazilians became annoyed that a false story about crime drew so much attention, when the city had hosted the games without major problems. Last year, a court dismissed the case against Lochte, but the Superior Court of Justice reversed that decision Tuesday. Prosecutor Rodrigo de Almeida Maia said Thursday that the next step is for Lochte's lawyers to present their defense. Lochte does not have to appear in person to defend himself, de Almeida Maia said. Steve Lochte, the swimmer's father, said by telephone that he had no comment and directed questions to his son or his son's lawyers. 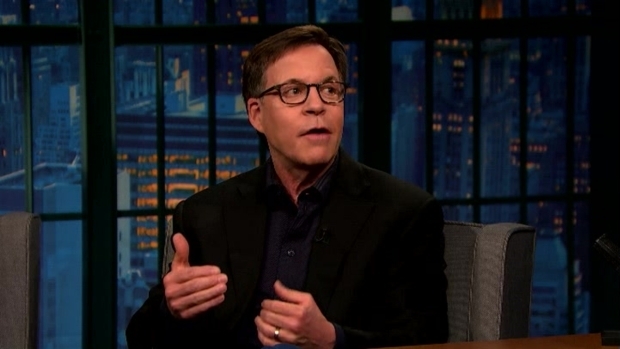 Bob Costas and host Seth Meyers talk about Ryan Lochte’s lie that he and three other swimmers were robbed in Rio. Costas marvels at the Lochte’s use of “over-exaggeration” instead of admitting that he made a false statement.